All watches below are described under the guidelines of the TC Grading Guide. The price posted for each watch is the FIRM selling price. All of our watches have new batteries installed and have been tested and calibrated to keep accurate time within manufacture original specifications. Unless listed otherwise, none of the watches come with the original box but will come with our 2nd Generation Time Computer watch box. 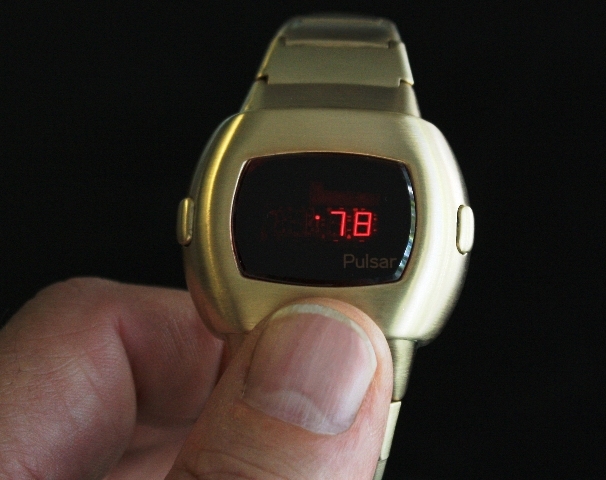 Description: This very rare model takes the wearer's pulse in addition to displaying time and date. 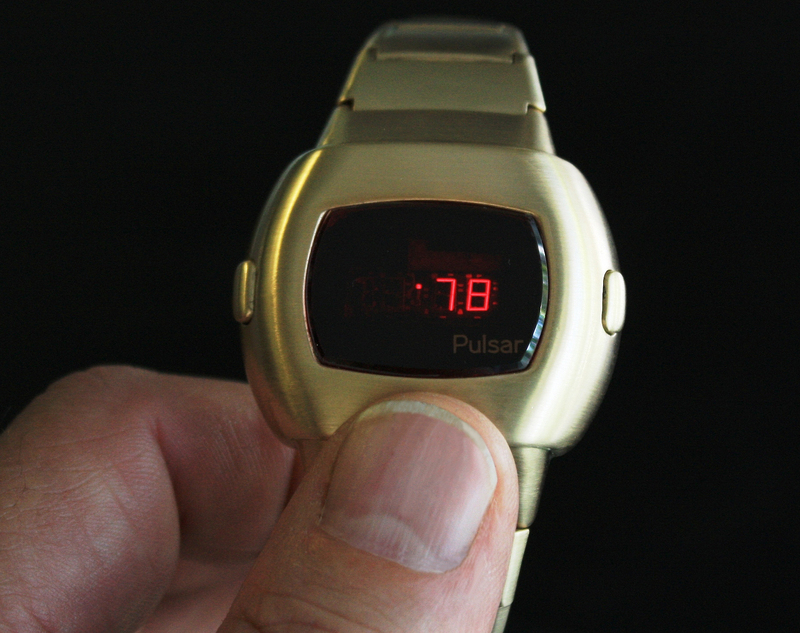 Only 100 of these watches were produced. This solid 14k solid gold watch is Working and is in Near Flawless condition with all of the original number of links in the bracelet. The electronic module is original and has been tested with no problems. The case and bracelet have been professionally restored. The Sapphire crystal is perfect! This model is typically finicky and rarely work as well as this particular watch. Please read the additional information posted in the "MarketPlace". Included: Original Instruction Booklet (not a copy) and a professional copy of the reference card. I will also include a flat caseback wrench. 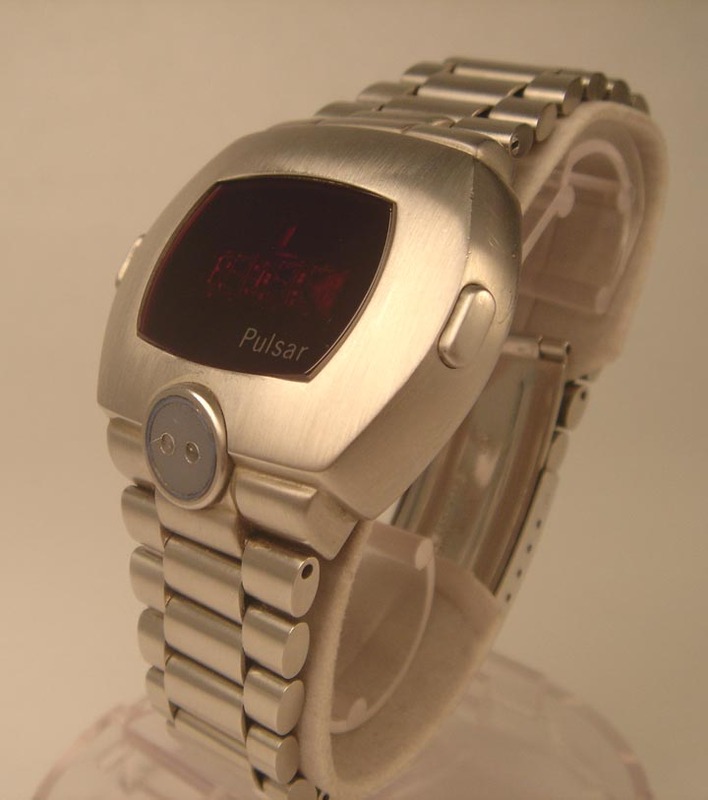 Description: This very rare model takes the wearer's pulse in addition to displaying time and date. Only a few thousand of these watches were produced (exact numbers unknown). This all Stainless Steel watch is Working and is in Near Flawless condition with all of the original links in the bracelet. The electronic module is original and has been tested with no problems. The case and bracelet have been professionally restored. The Sapphire crystal is perfect! This model is typically finicky and rarely work as well as this particular watch. Included: 2nd Generation Box with professional copy of original instruction manual and reference card. I will also include an extra set of batteries as well as a flat caseback wrench. Description: This very rare Men's model is one of only two watches to exist. 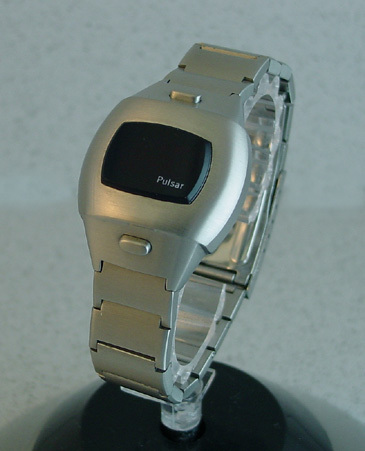 This Asian model was produced for the smaller wrist typical of Asian males. This all Stainless Steel watch is Working and is in Near Flawless condition with all of the original links in the bracelet. The electronic module is original to this model and has been tested with no problems. The case and bracelet have been professionally restored. The red Mineralite crystal has no chips or scratches! The case and bracelet are original so the watch looks as it did when it left the factory. Included: 2nd Generation Box with original instructions in one of the selected languages from the multi-language fold-out. Also, a flat caseback wrench.